◉◉◉◉◉ The original PDF Signer app on the App Store with thousands of downloads. Beware of other low-quality clones! ▶ If you have a question or problem with PDF Signer, please consider contacting us first before putting it in a review. We take our customers seriously and promptly answer every email. Most chances we can satisfactory address your concern or answer your question. • Fixed an issue with text stamps sometimes becoming invisible on MacOS 10.14 Mojave. • Default text color set to back in dark mode on MacOS 10.14 Mojave. • Fixed an issue that could prevent application from starting on MacOS 10.14 Mojave. I use this app a lot. It took awhile to figure it out and you need to make some effort to get your signature setup. Maybe there was a better way, I scanned my signature - put it into Photoshop and made the background transparent. Luckily I had those skills. Then I loaded it into PDF Signer and found it easy and quick to use. 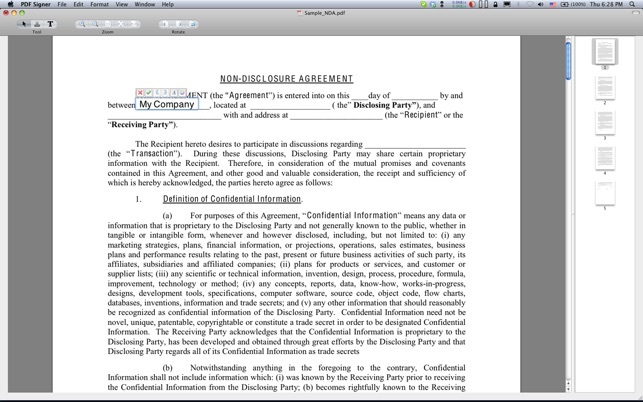 Transparency is very handy, because it an go anywhere in the document and overlap lines. Again, maybe there is an easier way to do it than I used. I rate this app really highly because of all the time and effort it saves me. Load the doc, add my signature, and even type in additional info (like the date) as needed. Love it! Thank you for the feedback. Glad to hear you find PDF Signer useful and time saving. There are many ways to setup your signature for use with PDF Signer - any image manipulation tool that can remove the background will work. 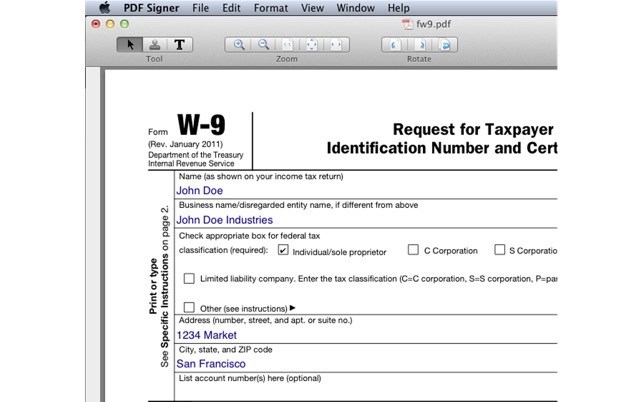 You can even do it with the Mac's "Preview" app (there are instructions in PDF Signer's help). 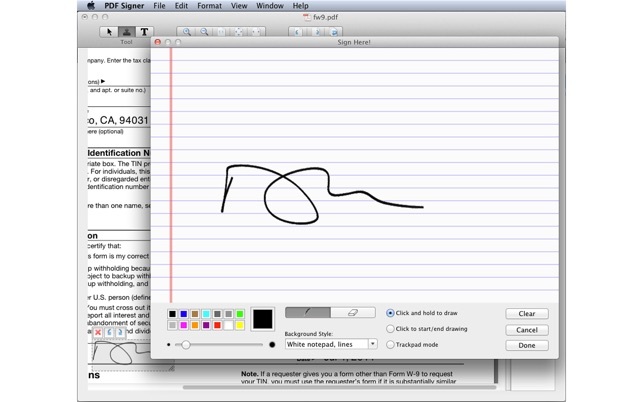 Many users choose to use PDF Signer’s built-in "signature pad" to draw their signature with Mac's trackpad or mouse. It took a while to input a good version of my signature but it does exactly what it is supposed to do. I'm quite happy. Never any problems. You can type things in here and there. 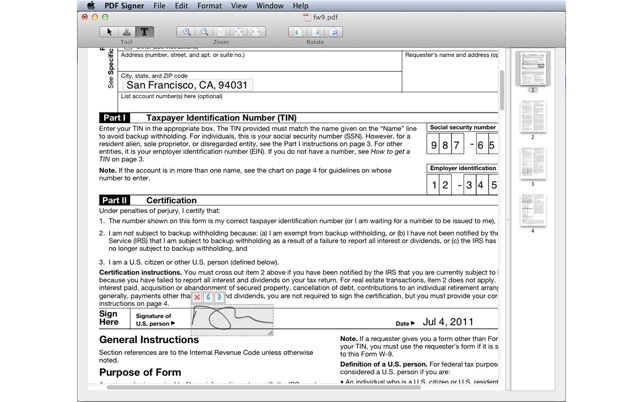 I wouldn’t use that for editing pdfs, but is great for signing documents when I’m traveling. One of the few apps I’ve ever purchased, it does EXACTLY what it’s meant to do. The new version is cleaner, looks great and runs faster on Yosemite w/ my 2007 iMac!! I use it every day. 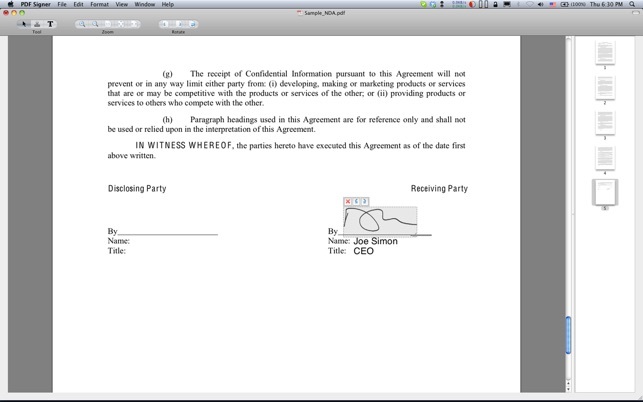 The files remain small and it saves me lots of time to sign PDFs.